When you board a commercial airline, you know that the flight attendants are there for your safety and comfort, and trained for the specific aircraft. And while you may never need their expert training, it is their job to get you out of the aircraft in an emergency. In the case of both owned and chartered aircraft, in the unlikely event of an evacuation, you want on board a trained flight attendant who will brief you appropriately, know how to operate your exits, find the smoke hood and don it in a smoke-filled cabin, understand the dynamics of an aircraft that must ditch, and can get you out of an aircraft that is partially underwater, wearing life vests, and into a deployed life raft out on the wing – not inflated in the cabin. You may be surprised to learn that, for aircraft with 19 or fewer seats – those you charter, those you own, and/or in which you own a fractional share – there is no Federal regulation requiring a trained flight attendant in the cabin. So that means that the person greeting and serving you with a smile on your next charter flight may – or may not – be trained in the safety and emergency procedures that could save your life. 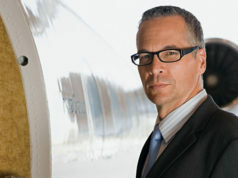 Most corporate aviation passengers never consider the possibility that the acting “flight attendant” on their airplane is a non-trained person. They assume that he or she is trained in emergency and first aid, as well as egress from the specific aircraft type. Those who are not trained flight attendants are called “cabin servers” and are not considered crew members. Such an individual will instead be listed on the manifest as a passenger. Even an airline-trained cabin server may not be familiar with business aircraft. The equipment is different, as are the operation of the main cabin door and the primary over-wing exit. 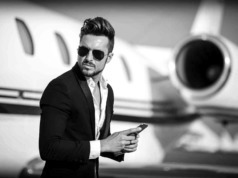 So when you book your next charter trip, be certain to ask who will be in the back of your aircraft, and whether they are corporate aircraft specific trained. 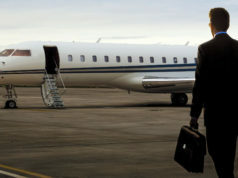 Your business aircraft is an extension of your office. At times there are sensitive company conversations that you do not want to be overheard, along with documents – or even passengers – you do not want seen. Some companies decide to not hire a flight attendant because they feel that the presence of a third crew member is intrusive. But just as every corporate flight department has a distinct personality and corporate culture reflective of that company and its CEO, there is a flight attendant who is a good match for you and your aircraft. Is prepared for every emergency, both medical and aircraft-related. He or she will have FAA-approved training in food safety service, first aid, CPR, and Corporate Specific Egress Training. Respects your privacy – and your confidence. He or she is discrete, knows how to “disappear” in the small cabin space, and at your request, is willing to sign a confidentiality agreement (See “Keep Your Business Your Business,” BAA March/April 2016). Possesses excellent organizational, interpersonal, and communication skills, and is unflappable, flexible, and creative. Thoroughly understands and has an up-to-date working knowledge of the in-flight operational responsibilities for all cabin electronics. This is especially important as cabin amenities have become more complex and technologically sophisticated. 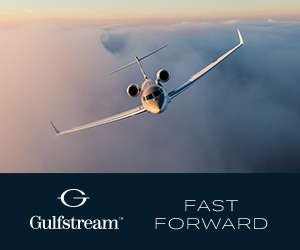 Is aligned with your mission, and has a keen sense of responsibility to you, your executives, your passengers, and your flight department. Beginning in 1970, Ms. Friedenberg has flown for American Airlines, Capitol Air, Coca Cola, DuPont Aviation, and American Standard Companies; and as a contract corporate flight attendant for several companies nationwide. In 1999 she founded "The Corporate Flight Attendant Training Program," offered in two cities, and now conducts in-house training for clients globally, in addition to consulting within the business aviation community. On the National Business Aviation Association's Flight Attendant Committee for 19 years, she was Women In Corporate Aviation's 2011 Volunteer of the Year.